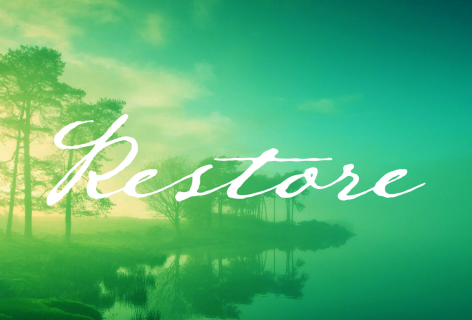 Our five-week Restore series will focus on building tools that will help you enrich your body and brain, and bring you calmness and strength. You will practice new concepts and revive tools that have previously restored and enrich you. Register online at spdlc.org/register. The cost for the series is $15. Tuesday, Jan. 22, 6:30 p.m.
We kick off the new year with a presentation by Dr. Henry Emmons, MD, a psychiatrist who integrates mind-body and natural therapies, mindfulness, compassion and insight into his clinical work. Dr. Emmons developed the Resilience Training Program, a ground-breaking regimen designed to relieve anxiety and restore physical and mental health, at the Penny George Institute. He is the author of The Chemistry of Calm. (Copies of the book will be available for purchase.) He is co-founder and CEO of NaturalMentalHealth.com, a website offering trusted information and holistic products to help individuals of all ages build their resilience and rediscover joy. Tuesday, Jan. 29, 7 p.m.
Tuesday, Feb. 5, 6:30 p.m.
Presenters: Birdie Cunningham, M.A., Associate Director of Health and Wellness, and Director of Operations and Programming for Center for College Sleep at the University of St. Thomas; and Erin Peterson, APRN, CNP, Nurse Practitioner at MN Lung Center & MN Sleep Institute. Discuss the science of sleep and research on the connection of sleep to mental and physical well-being. Sleep disorders (ex. apnea) and testing. Tuesday, Feb. 12, 6:30 p.m.
Love 2.0: Finding Happiness and Health in Moments of Connection, by Barbara L. Fredrickson Ph.D.
Making Hope Happen: Create the Future You Want for Yourself and Others, by Shane J. Lopez Ph.D.